Mate Rimac stunned the world () with his awesome fully-electric Rimac Concept One supercar. Introduced in 2013, it boasted 1,224 horsepower and the ability to hit 60 mph in 2.4 seconds. The carbon fiber monocoque is the biggest single carbon-piece in the industry and the first to integrate the battery into its structure, making the car extremely rigid and obviating the need for subframes as the suspension is attached directly to this carbon structure. The tech is impressive enough that is now used in most of the high-performance EV and HEV hypercars coming to the market. 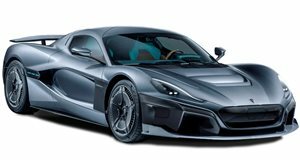 While designing, engineering and producing key electrification systems for the high-performance vehicles remains the mission of Rimac they are now supplying their battery and drivetrain systems, hardware, and software to .